The VNO is financed through annual membership fees, licensing fees (based on pieces per year) and proceeds from current activities of the organization. The first member fee is due directly after the confirmation of receipt and the remaining months prorated out to the end of the year. No membership fee required. Associate members are obligated to support the organization with other contributions. 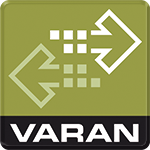 This is accomplished in that they hereby allow the company name to be listed on the www.varan-bus.net homepage for advertising purposes.